How should I choose an attorney to handle my case? What do you charge to handle my case? After I find the right lawyer, what Is the Next Step? What questions is a lawyer is likely to ask at the consultation? How can you determine if a doctor, hospital or other healthcare provider has committed medical malpractice? If you signed a waiver or consent form, have you waived your rights? Can anything be recovered if medical malpractice causes a patient to die? What steps does an experienced medical malpractice attorney take to properly and fairly evaluate a potential claim? Can a medical malpractice law firm handle highly specialized areas of medicine? What information should you bring to the first meeting? How does an attorney find experts to help with your case? Where can you get information about your doctor? How can you find out if your doctor has had any medical malpractice claims? Will your time and effort spent in pursuing a medical malpractice claim be worth it? Is there a limit on how much a person can recover for a malpractice claim? Will you be offered a settlement? What if My Case Is Rejected? The lawyer you choose is one of the most important factors in the success or failure of your case. It is a decision you should research with care. Unfortunately, choosing a lawyer can be intimidating for people who have never been through the process before. The first thing to consider is that lawyers often concentrate their practices in specific areas of the law. You will want to hire a lawyer who focuses on Personal injury or medical malpractice. Another type of lawyer may be able to help you, but he or she will not have the same experience and skills that a personal injury or medical malpractice lawyer brings to a case. Personal injury and medical malpractice lawyers understand the legal, procedural and evidentiary strategies that can maximize the value of your specific type of injury claim because they work with these issues every day. Be wary of “national” law firms that advertise they will handle your case anywhere in the country. What they actually do is sign you up and then refer your case to a local attorney in order to collect a referral fee when your case is settled. Certified Civil Trial Attorney: A designation granted by the New Jersey Supreme Court to attorneys who are able to demonstrate sufficient levels of experience, education, knowledge, and skill in civil trial practice. Personal injury and medical malpractice cases are civil cases because they seek to recover money damages. The Certification program helps the public find attorneys who have demonstrated proficiency in specialized fields of law according to certain standards: (1) have been members in good standing of the New Jersey bar for over5 years; (2) completed ongoing continuing legal education requirements; (3) demonstrated a substantial level of experience in civil trial law; (4) received favorable evaluations from other attorneys and judges familiar with his or her work; and (5) passed a written examination in civil trial law. 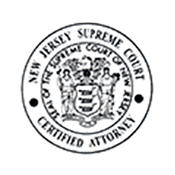 Although many attorneys now advertise in various mediums, only attorneys certified by the New Jersey Supreme Court are entitled to use the designation “Certified by the Supreme Court of New Jersey as a Civil Trial Attorney” on their letterhead, business cards, Yellow Pages listings, or in their advertisements. 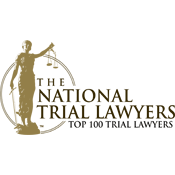 The American Board of Trial Advocates (ABOTA) is a national association dedicated to improvement in the ethical and technical standards of practice in the field of trial advocacy. Certification and membership in ABOTA is highly selective and limited to attorneys who display skill, civility and integrity. Membership is by invitation only to those individuals with demonstrated trial experience. There are approximately 150 lawyers in the State of New Jersey who have earned the designation of “Advocate” with the American Board of Trial Advocates. 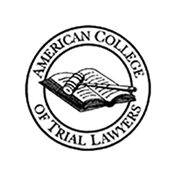 The American College of Trial Lawyers is composed of some of the best of the trial bar from the United States and Canada and is considered by many to be a premier professional trial organization in America. Founded in 1950, the College is dedicated to maintaining and improving the standards of trial practice, the administration of justice and the ethics of the profession. Fellowship is extended only by invitation, after careful investigation, to those experienced trial lawyers who have mastered the art of advocacy and whose professional careers have been marked by the highest standards of ethical conduct, professionalism, civility and collegiality. There are currently only 5,700 fellows throughout the entire United States and Canada. 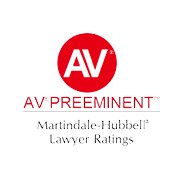 Martindale-Hubbell AV Rating: For more than a century, the firm of Martindale-Hubbell has conducted a peer review process that rates lawyers on both legal ability and general ethical standards. Ratings are based on the confidential opinions of the bar and the judiciary. There is only one rating for the ethical standard (V for very high standard) which an attorney must receive in order to be rated. 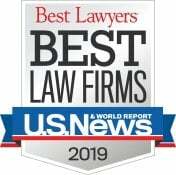 The attorney’s legal ability is then rated either: C (good to high), B (high to very high), or A (very high to pre-eminent).The Martindale-Hubbell AV rating, the highest possible, is awarded to less than 5 percent of attorneys throughout the country. Elected Positions in Legal Organizations: Elected positions held in county, state and national legal organizations are indicative of the opinion of an attorney’s peers as to the quality and ability of individual lawyers. The American Association for Justice—AAJ (formerly the Association of Trial Lawyers of America [ATLA]) is the world’s largest trial bar organization and is a broad-based, international coalition of attorneys and law professors. As the world’s largest trial bar, AAJ promotes justice and fairness for injured persons, safeguards victims’ rights — particularly the right to trial by jury — and strengthens the civil justice system through education and disclosure of information critical to public health and safety. With numbers worldwide and a network of affiliates involved in diverse areas of trial advocacy, AAJ provides member lawyers with the information and professional assistance needed to serve clients successfully and protect the democratic values inherent in the civil justice system. The New Jersey Association for Justice—NJAJ (formerly Association of Trial Lawyers of America-New Jersey): Founded in the late 1940’s, the New Jersey Association for Justice (NJAJ), headquartered in Trenton, New Jersey, is a state-wide association of more than 2,000 attorney members in private practice. NJAJ is dedicated to protecting New Jersey’s families by working to preserve and strengthen the laws for safer products and workplaces, a cleaner environment and quality health care. 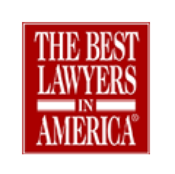 Awards and Recognition by Major Legal Bar Associations: Most major legal bar associations recognize leaders in the profession who demonstrate superior ability, good character, contributions and dedication to the practice of law. Teaching Experience: Some lawyers are known for their expertise in teaching at law schools or lecturing other lawyers through Continuing Legal Education programs sponsored by the state bar association and trial lawyer organizations. You should always ask for a detailed, written resume from a lawyer. At The Law Offices of Andres & Berger, P.C., we find that most of our clients come to us after a recommendation from someone they know who has used us in the past or from other attorneys who are aware of our expertise. You need a lawyer in the state where the injury happened, even if that is not the state where you live or have legal residency. To schedule a free consultation and to learn how we may be able to help you, contact The Law Offices of Andres & Berger, P.C. today! All of the investigation and preparation for your case is possible because of the type of fee we charge — a contingency fee — which is established by the New Jersey Supreme Court. Like most reputable personal injury firms, we usually don’t charge a fee at the beginning of the case. Instead, we are paid with a percentage of the money we recover for you if you win the case. In New Jersey, the amount of the contingency fee is set by the State Supreme Court in Rule 1:21-7. The percentage will always be explained to you before you agree to hire us, and a written agreement for legal services will be signed by the client and an attorney on behalf of the law firm. If you lose, we will not ask you for any legal fees at all. It’s that simple. This allows us to represent everyone who comes to us with a strong case, regardless of their income or background. In contingent fee cases, we pay the costs and expenses involved in preparing the case. If we are able to obtain a recovery for you, we give you an itemization of the expenses paid on your behalf and reimburse the firm for those expenses at the conclusion of the case. In New Jersey, you also have the option of paying your attorney an hourly fee if agreed to by all. If you choose to pay based on hourly fees, your lawyer will likely require a retainer and will charge you for his or her time and expenses, regardless of whether you win or lose your case. We believe the option of a contingency is an essential and valuable part of our legal system, providing access to justice for everyone, no matter what his or her income or background might be. It levels the “playing field” by allowing injured people and the families of loved ones to hire experienced, well-qualified attorneys to fight against the insurance companies and big business. When you find the right lawyer who is qualified to handle your specific type of case, you will sign a contract to provide legal services formally retaining him or her as your lawyer, giving you all of the rights of a client. To get the case started, your lawyer may direct personnel within the law firm to obtain your medical records, doctors’ notes and medical test results, along with a copy of any accident or incident report and any insurance information or statements the insurer might have recorded. If necessary, the lawyer might also retain a private investigator to find important but elusive information about your case. All of this case development takes time. At our firm, we have found that clients really appreciate being kept informed, whether or not we have anything significant to report. For that reason, we assign specific staffers to update clients regularly about the status of their cases. At your discretion, we will provide copies of all correspondence and documentation or provide you with those items which are of significance. In this first stage, we are working to understand the facts and the strength of your case. After the case is documented and prepared, your lawyer can begin negotiating with the other side to get you the best possible compensation under the laws of your state and the facts of your individual case. You may end up settling the case outside of court or participating in mediation, arbitration or a full trial. One of our lawyers will explain the procedure to you at your consultation. When you first call The Law Offices of Andres & Berger, P.C., your call may be taken by a lawyer, a paralegal, a case manager, nurse or an intake specialist. This person will ask you for basic contact information as well as for the details of your accident. Based on your answers, a lawyer will make an initial assessment of your case and may schedule a consultation. If you cannot travel to the law firm, one of our lawyers will consult with you on the telephone, in your home or at the hospital. At The Law Offices of Andres & Berger, P.C., we make every effort to accommodate clients and potential clients with this type of need. Was an incident or police report made? If so, do you have a copy? Did you take photos of the accident location or vehicle (if applicable)? What is your right to sue threshold in your automobile insurance policy, if you were involved in an auto accident? Did you give a statement to police, insurance adjusters or anyone else? Did the defendants say anything to you or someone else? Were there any witnesses, and if so, did anyone get their contact information? How much damage was done to your vehicle if you were in an auto accident? What medical treatment have you had thus far? What medical treatment, tests or follow-up are currently recommended by your treating physician(s)? How are your bills being paid? What insurance companies are involved? Medical malpractice occurs when a physician fails to provide appropriate healthcare according to established medical standards and, as a result of that failure, causes injury to the patient that otherwise would not have occurred. A physician can make a medical mistake by doing something that should not be done, or by failing to do something that should be done. The determination of medical malpractice requires a thorough evaluation of all the medical records by physicians, nurses or other healthcare providers of similar background and training as the doctors whose treatment is being reviewed. The experts must determine that the doctors and other providers failed to provide care according to accepted standards of medicine or surgery. Medical expert testimony is required to both prove errors on the part of the physician and the additional injuries caused by the error that would not have occurred had care been provided appropriately. In order for you to know if you have a medical malpractice claim, you need to have the assistance of an experienced medical malpractice law firm to evaluate both the legal and medical aspects of your potential claim. The attorney must determine whether the injury, or the discovery of the injury, is sufficiently recent in time that it is not barred by the Statute of Limitations defense. Next, the attorney must obtain all relevant medical records, organize them and analyze them to see if the medical facts support the claim. If the medical facts appear to support the claim, the attorney must select knowledgeable and articulate experts, who are willing to review the potential case, give an honest opinion on the physician’s conduct and are willing to testify at Trial in support of your claim. Only after your attorney has obtained the necessary expert testimony to support claims of medical negligence and the relationship of that negligence to your injuries, do you know that you have a case. The period time within which an injured patient can bring a medical malpractice lawsuit is called the Statute of Limitations. The Statute of Limitations for bringing a medical malpractice lawsuit and the special rules that apply vary from state to state and the type of defendant. All medical treatment must be provided with the patient’s informed consent, except in extraordinary emergency situations. Patients sign a general consent form for treatment upon admission to a hospital and a specific consent form prior to having an invasive procedure or operation performed upon them. The specific consent form for a procedure or operation must be signed by the patient indicating that the doctor has explained the nature of the patient’s problem, the suggested treatment as well as alternative treatments, the risks attendant to those various treatments and that the patient has had an opportunity to ask questions before consenting to the recommended treatment. Signing a consent form does not waive a patient’s right to bring a medical malpractice claim if the doctor fails to provide medical care in accordance with accepted medical practice. Lack of Informed Consent occurs when the patient develops an injury during a medical procedure or operation that is a risk recognized by the medical community but undisclosed to the patient of the procedure and, had the patient been advised of that risk beforehand, the patient would have not consented to the treatment that was performed but would have chosen one of the alternatives. In most states, the determination as to whether a patient would have chosen the alternative treatment if the undisclosed risk was known is determined by the jury based on what the jury feels a reasonable patient would have done if the withheld information had been given to the patient. Yes. This is called a Wrongful Death action. Wrongful Death actions are often brought in connection with medical malpractice claims, when the patient dies as a result of the medical negligence. An experienced medical malpractice law firm first takes a detailed history from the client to learn all of the medical treatment the individual has received, so that the necessary medical records can be obtained. Next, assuming that the medical malpractice attorney believes that there is a case to pursue, all of the relevant medical records must be obtained from the providers. After obtaining the records, the records are organized according to provider and are analyzed by the attorney or by an experienced Legal Nurse Consultant and/or physician working with that attorney. Based on a medical review of the records, the attorney must make a determination as to what expert medical witnesses are needed to prove plaintiff’s case. Once that is determined, the records are forwarded to those medical expert witnesses, who charge a fee for review of the records. Upon receipt of a positive opinion from a medical expert witness that the defendant or defendants deviated from accepted standards of care and thereby were medically negligent AND the receipt of a medical expert witness’s testimony that the medical negligence caused injury which otherwise would not have occurred, then the attorney knows that there is a viable medical malpractice claim. It is precisely because a medical malpractice law firm regularly works with medical experts in highly specialized areas of medicine, that a medical malpractice law firm can understand, organize and present complex medical facts to a judge and jury. A medical malpractice law firm has many contacts with expert witnesses, often in specialized areas of medicine, and is able to bring vast resources together for the benefit of the client. If your case is a medical malpractice case, you should bring with you any and all medical records that you have as well, as a list of all physicians and hospitals that you have visited over the course of last ten years. You should also bring any x-rays or other imaging films in your possession, as well as any photographs that you may have which would be evidence of your injuries. If your matter is an automobile negligence case, you should also bring a copy of your automobile insurance policy and declaration form. The declaration form is the page of your automobile insurance policy that provides the limits of your coverage. In addition, you should bring a copy of the police report from your accident and any photographs of the vehicles involved. If your case involves a product-related injury, please bring all of your medical records, photographs related to your injuries, any documents related to the investigation of your injury and any available photographs of the product as well as any product information you may have at your disposal. Experienced medical malpractice and personal injury attorneys identify their experts through a number of different sources. These experts include accomplished certified experts in medicine and science that can address cases involving claims of medical malpractice negligence, automobile accidents, slip and fall, defective products and other injuries resulting from someone’s negligence. Economic and vocational experts may be used to help determine how your injury has affected your life financially. Experienced medical malpractice and personal injury attorneys know numerous and very qualified experts who can provide an unbiased review and analysis for a variety of different claims. You can obtain information about your doctor from the State Board of Medical Examiners or your state’s equivalent certifying agency. Other sources of information about your doctor may be available on the Internet. You can also frequently obtain information from the medical society of your state and the hospital where your doctor practices. One website that provides hospital and physician ratings is www.healthgrades.com. Unfortunately, unless your doctor has been the subject of discipline by your state’s licensing board, it is often not possible to determine the nature or the number of medical malpractice claims he or she has had, except in the midst of a lawsuit. Some states, such as Massachusetts, have created an on-line database, accessible to the public, with medical malpractice information. Others have not done so yet. . For a list of addresses and phone numbers of State Medical and Dental Boards from whom you obtain information about disciplinary actions taken against doctors in your state, please see National Practitioner Data Bank List of State Medical and Dental Boards. Experienced medical malpractice attorneys usually work together with in-house medical personnel and independent medical reviewers, so as to screen-out those cases that are not likely to result in proofs of a departure from standard medical practice. If an experienced malpractice attorney is prepared to undertake your representation, it is generally a case that the attorney believes is worth your time and effort. The cost of bringing a medical malpractice case requires that resources be spent on medical malpractice cases with a likelihood of success and significant amount financial recovery. Some states have caps on damages that a plaintiff can receive for pain and suffering; thankfully, many states do not. To this end, attorneys who represent injured patients remain vigilant in protecting their right to recover for medical negligence from unwarranted economic limitations. 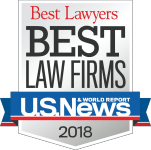 While a number of the cases handled by experienced malpractice attorneys result in a settlement, medical malpractice actions are much less frequently the subject of settlements than other types of personal injury cases. One of the main reasons for the lower settlement rate for medical malpractice claims in many states is that the defendant-physician must agree and consent to any settlement. Unfortunately, sometimes lawyers must turn down cases. In order for a lawyer to accept a case, he or she must consider many factors, including the severity of your injuries, which parties were at fault, conflicts of interests, legal limitations, time constraints and more. If the firm decides that it cannot handle this case for you, that may not necessarily mean that you do not have a case — just that the firm is not in a position to accept your case. At The Law Offices of Andres & Berger, P.C., we don’t like to turn down cases. When we have to tell clients that we cannot take their cases, we do our best to refer them to a local bar association or another lawyer who is better suited to help.